Should You Lease a Toyota for Your Small Business? You need a new, dependable vehicle that represents your business better than the one you currently use but should you buy or lease a Toyota for your small business? While buying a vehicle is certainly an option, leasing one may be a better one for your business, considering all of the benefits it has to offer. For example, when you lease a vehicle you can often choose a more expensive model than you might be able to afford if you buy one. The vehicle you drive says a lot about your business and this could help you make a good impression on your clients. Driving a new vehicle every two or three years will show that you take pride in your company, which shows clients that you take your business seriously and so will they. Below are a few more benefits to consider. Having the added protection of roadside assistance 24/7 is another benefit that you can look forward to when you lease a Toyota for your small business. Accidents do happen no matter how careful you are and sometimes a flat tire, empty gas tank or some other type of problem can leave you stranded on the side of the road. In these situations, knowing that you can make a simple phone call and help will be on the way can make a bad situation easier to deal with. They’ll get you off the road and to safety in a reasonable amount of time. Leasing a vehicle can be less expensive than buying because you’re only paying a prorated amount that’s based on the length of your lease agreement, which means that you can often get a lower down payment. This makes it easier to get the vehicle you want without having to pay a large sum up front. Your monthly lease payments may also be lower than what you would pay if you choose to buy the vehicle, so that’s an added benefit. 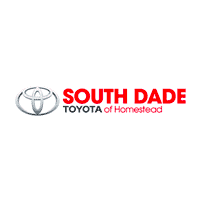 When you lease a Toyota, you have one of the best warranties available today. It will take care of any mechanical problem that arises without you having to worry about dipping into your business funds to pay for it. Your payments also include preventative maintenance such as getting the fluids changed, rotating the tires, checking belts and hoses along with other general maintenance that will keep your vehicle in top-notch shape. You’ll have a dependable way to get around, so you can relax and concentrate on running your business. Before you make the decision to lease a Toyota for your small business, you do have to consider how many miles you travel on average. If you travel approximately the same each year, you can estimate your mileage close enough to negotiate how many miles is allowed in the lease agreement and this will help you determine if leasing is the right option for you. If you see that mileage is not a problem and you like the sound of all the benefits leasing has to offer, head over to the dealership to see what kind of Toyota leasing specials they have to offer your small business. 0 comment(s) so far on Should You Lease a Toyota for Your Small Business?